We’re people with aspirations and goals just like you. Some of us have kids, interesting hobbies, master's degrees, and decent dance moves. Our world views and physical strengths and challenges vary. What’s most important is what we share: a vision for getting fit and having fun! CrossFit Beacon is led by a group of people committed to transforming lives through fitness training. 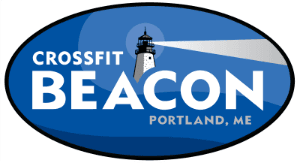 Beacon invests heavily in its coaches by sending them to CrossFit certifications, CPR, and other trainings. Beacon's coaches work closely with our community so they are able to get to know each athlete individually and meet Beacon's high standards of service to athletes. We’re also always working to improve. We regularly survey the membership and then put an action plan in place based on what we learn. We seek regular feedback from athletes and also practice and discuss our teaching and motivating methods with each other. Each Beacon coach brings something different to the table, and we work together as a team to provide consistently high-quality instruction and a great atmosphere for training.